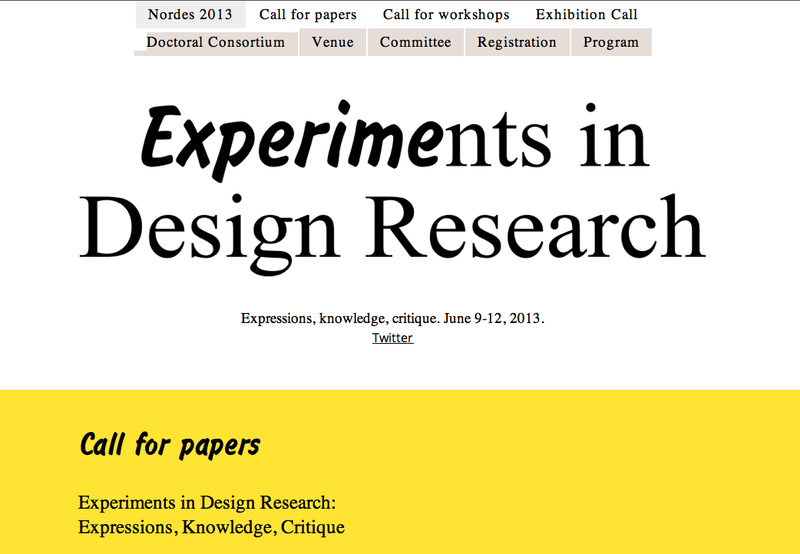 The title for this year conference is: “Experiments in design research – Expressions, knowledge, critique”. I total we have received 131 paper submissions, 55 exhibition submissions and 28 workshop proposals from all over the world. 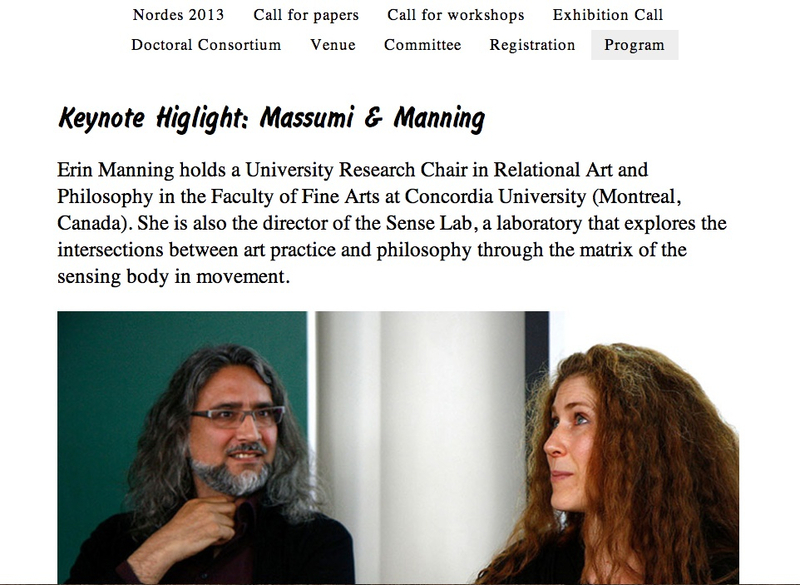 Between 30-50% has been accepted for the conference. 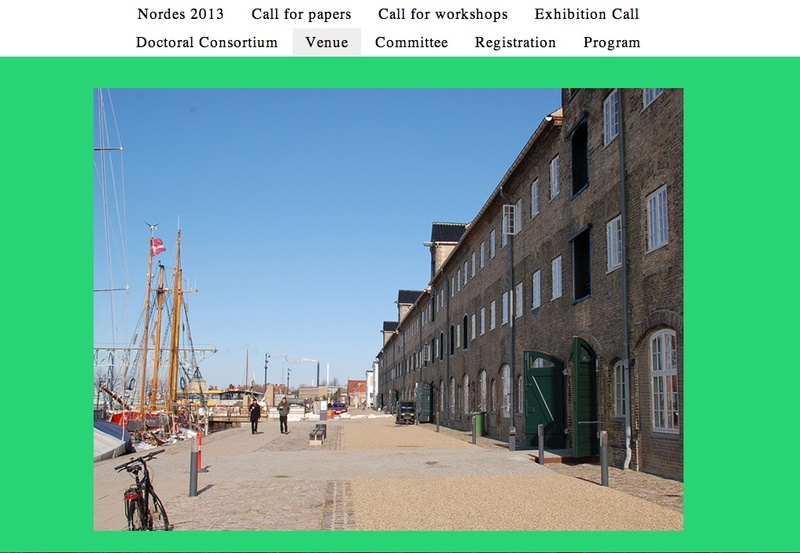 NORDES 2013 takes place from 9th – 12th of June 2013 at the Royal Danish Academy of Fine Arts, School of Design in Copenhagen, Denmark and at STPLN in Malmö, Sweden. We are happy to invite you to take part in four intense days where the newest design research with focus on experimentation is presented along side a design research exhibition. One day is dedicated experimental workshops in order for all participants to have and reflect on hands-on experiences together. 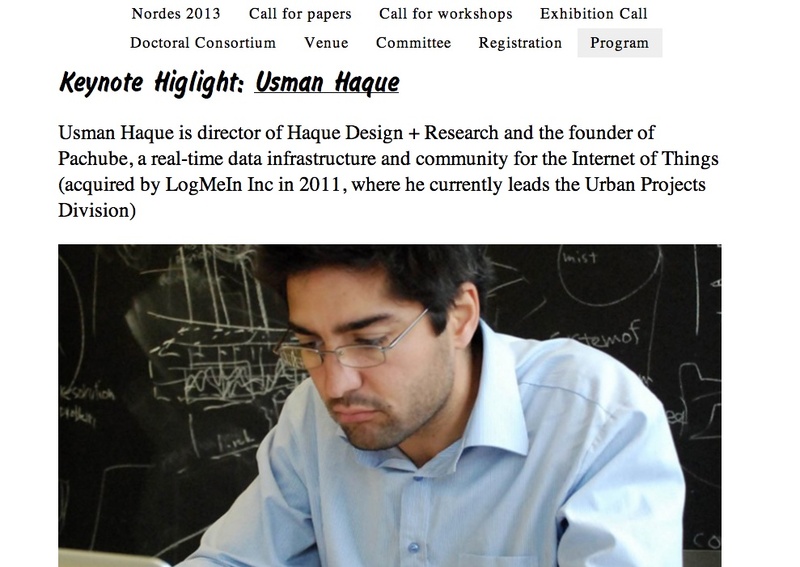 Our opening keynote is Usman Haque while our keynotes on the third day are Erin Manning and Brian Massumi.